If you have young children who like music, and you're looking for something beyond traditional kiddie music, yet still wholesome, you might be interested in Smart Kidz Radio. This is the newest offering from Smart Kidz Media. 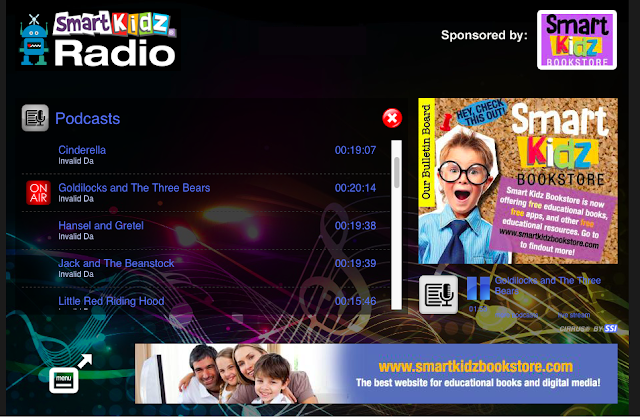 It is an online, "edutainment" radio station specifically for children ages 2-10 years old. 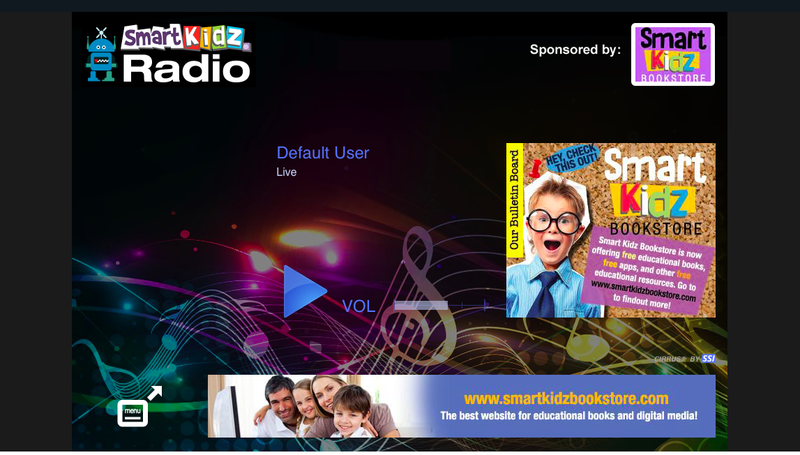 It features original songs and stories designed to help children build self-esteem and learn valuable living skills in a safe listening environment. There are two components: free radio streaming, and On Demand content. Once you sign in, it is a very simple interface. You can press play to listen to the free streaming radio station. The songs are original and talk about respecting your parents, understanding others, sharing your talent and gifts with others, creativity, and other positive attributes. The songs have a variety of sounds, are upbeat and positive, and some have children singing while others have adults. It's a good mixture of music, just like a radio station. It does play on a loop, but if you don't play it for hours straight, you won't likely notice. The commercial breaks are just a short blurb about Smart Kidz Media or an introduction to the next song. I never did hear or see any outside advertisements, even though the content is free. The "ads" you see in the screenshot only take you to other areas of the Smart Kidz company, but if you have a child prone to clicking things, you might want to monitor the device yourself. The FAQ section of the website states you can also use an android or iOS app, but so far we have only used my laptop. The radio station is streaming only, but once I started poking around a little, I found the podcasts. Just click on the menu, then the podcast symbol. This option includes several familiar children's stories, mostly fairy and folk tales. They sound more like radio programming than audiobook, and I noticed a few creative liberties in the few we've listened to, but overall they are acceptable for our family. I also think it's safe to say that those which were originally books, like Alice in Wonderland or Pinocchio, are greatly abbreviated. If you're just looking for an introduction to the story, it won't be an issue, but children should know that there is so much more to the original story! Most stories are about 15-20 minutes, which is a good length for the preschool crowd I have listening, but there are a few selections that are only a couple of minutes each. There will also be an option to upgrade to the On-Demand subscription for just $3.99/month, or $39.90 for the year. 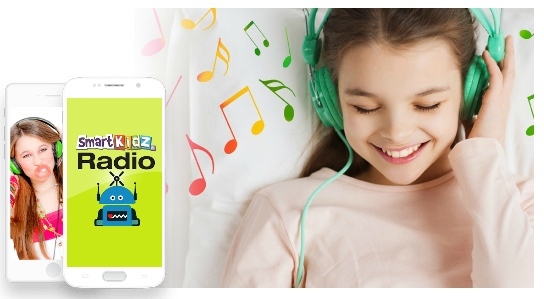 This will give you access to another thousand or so songs and stories, which also follow the idea of promoting good behavior and living skills. As of now, I do not have access to the On Demand content, but you can read their FAQ for more specific information. The suggested age range is 2-10 years old. My kids are 3, 5, 8 and 11. Based on their reactions and my experience working with elementary kids in church and co-op, I would recommend the music for about ages 2-6, though the stories might get more mileage. My older kids made it clear they were too old for the music, but my 3 and 5 year olds danced around. If you're wanting to find something different to play in the background during playtime or clean-up, you could give the free channel a try! If you would like to find out more, check out Smart Kidz Media or read more reviews from the Homeschool Review Crew! While we were on a little weekend getaway, we decided to go do something outside of the lodge. I am a homeschooler after all, so I love looking for fun field trips. We looked up some things online, and settled on Loveland Castle! We knew the kids would be intrigued, it was only 15 minutes from where we stayed at Great Wolf Lodge, and it wouldn't take long to do a self-tour. Emory had just completed AO Year 2, which focused on the medieval ages, so it was good timing for him. Fair Warning . . . this is a photo heavy post! It was a fun and fascinating place for my kids! I had never heard of Loveland Castle before, but read a little about it before we left. Apparently the creator, Harry Andrews, was declared dead in WWI. His fiancé married someone else before he was declared undead, so he decided to stay in Europe and visit castles and such. He was a medieval enthusiast, and eventually he built Château Laroche in Ohio as a replica of European castles. A few doors were locked, and some personal rooms had barred doors so you could only see in (bathroom, kitchen, bedroom), but you can take tours through a large portion of the castle and see the lovely arches, winding stairs, death holes, spy holes and unique features he built into the castle. The castle was built in connection with his scout troop, which was called the Knights of the Golden Trail, and they run the castle now as a museum. They had a video playing in one area, to learn more about Andrews, or you could go the other direction and there was a Knights of the Golden Trail member speaking to guests. It was a self-guided tour through the castle and garden though. We were there between 30-45 minutes, but you can stay longer and take in more details if you don't have a toddler in tow. They had benches set up throughout the gardens so you could picnic, or convince your siblings to take a picture with you! The kids thought the winding stone staircases were neat. The girls kept asking where the Princess or Queen or Prince was, and they were disappointed that there wasn't going to be a real princess. They finally declared I was the Princess and Daddy was the Prince! Eleanor was excited to find this purple chair, purple being her favorite color. Since it was a museum, they did have some things in cases. There were picture and postcards and mementos featured throughout. The kids just thought all the period pieces were interesting. As well as the period weapons . . .
"This Guy . . . "
There were so many little details, that everywhere you looked, you'd find something interesting in the walls. Most of the rooms were built to scale, except the ballroom, which was built as a 1/5 replica. The lighting on this is bad, but if you look through the spy hole, you can see outside, down to the entrance area. The boys thought that was cool. This girl loves posing for pictures! We were walking down to the dungeon here! You could see a "skeleton" chained up through a door, but the lighting was bad and it was hard to get a picture. The boys still though the idea of the dungeon was cool. Back outside, you can walk the garden paths. More benches and lots of great plants. Some kids insisted on having their pictures taken. Walking back towards the entry, you can see the arches, the windows...the neat details! Saw this guy on the way out . . . This was a great little trip, and we would recommend it to others. If you're in the Cincinnati/Mason OH area or passing through, it makes a quick side trip. It's fairly inexpensive, impressive to littles who might be looking for royalty, and just interesting to the rest of the group. We live rural, and it takes us about 30 minutes to an hour to get anywhere worth going. Longer if we're looking for somewhere "big" to go. We were going to visit one of the small/local water parks about an hour from our house, but at the last minute decided that a weekend trip to Great Wolf Lodge was in order. We were in much need of some family time away. We've had littles for so long, that this was the first time we were prepared to do a water park without an extra adult with us, so this was our first time visiting Great Wolf. It's about a 3 hour drive for us, which is the perfect amount of time to drive straight through, or take nothing more than nothing more than potty break. It was a relatively quick and painless trip. We went to the one in Cincinnati/Mason, and also made a side trip to the Loveland Castle, because it just sounded neat! There really is a wildlife, lodge, woodsy feel to the whole place. There's lots of "stuff" to look at. They gave the kids wolf ears when we checked in, which some of my kids appreciated, and some just kindly tucked away. There's supposed to be some type of clock tower show here, but we never made it down for that. Even though their little cabin was enclosed, it didn't have a door, and it had two little windows, so it didn't feel claustrophobic in there. There's a lot to do in the resort. We made it to the arcade the first night, but that was all we did. Yes, my 11 year old has reached the stage of being too cool for pictures. They also had a list of free activities that would have appealed to my younger kids - balloon animals, face painting, dance parties, story time - but we somehow kept missing those. Maybe next time! We spent most of our time at the waterpark, since that was the purpose of our trip. We spent two nights, which meant we could do a lot of short plays at the park. Eloise still needs a nap most days, so we found a couple hours of play was perfect for us Then we'd go back to the room, grab a bite to eat, rest...then play some more! However, I do think one night would have been enough for a "quick" getaway, because it gets you nearly two full days of play. You can use the waterpark as early as 1 PM (they have changing rooms and lockers in the waterpark if your room is not ready, as check-in was 4:00 p.m. I believe, but we preregistered online and our room was actually ready) and you could continue to use the facilities after you check out, until close. You only need more nights if you're going to do all the extra activities or go to King's Island next door or otherwise be in and out of the resort a lot. The waterpark really does have things for the whole family! There were several slides, a wave pool, tree house, lazy river, hot tubs, an outdoor pool and some pools designed for "play" for kids. The tree house play structure has medium slides, water coming up from the ground and sprinkling from above, hanging buckets you fill and dump, water shooting gadget thingies. You like those technical names, don't you? It was just a fun place for the kids to play and experiment with water. The kiddie area was shallow water with different size slides for toddlers. There were a few things we could do together (pools, tree house, lazy river), but sometimes we split up so the boys could do more slides and the girls could hang out in the kiddie area. This girl is a goofball! There were lifeguards everywhere. I do mean everywhere. They provide towels and lifejackets, and there were plenty of chairs and tables around the whole waterpark. There was sometimes a short line for slides, but it never felt busy, even though it was the middle of summer. I was kind of surprised at how relaxed and enjoyable it was throughout the water park. Daddy decided to get some more group pictures. I had just taken a shower, but Elliott actually smiled for us, so here you go. On the way out, Eloise wanted us to take their picture one more time. She just doesn't always cooperate! Overall, it is a fun place, and we would definitely go back. The best part is that most of it is indoors and out of the sun, but it also means it's open year round so we can go off season and get better rates next time. I think this was our first field trip of the next school year. Yes, I count "fun" stuff as field trips. This trip in particular included geography (the drive-we crossed state lines, and they pay attention to the maps and road signs and such), Physical Education and water safety, and some basic science through water play for the Kindergartner. I will share our trip to the Loveland Castle soon, which tied in perfectly with Emory's history from last year! Every year, I try to read a few books aloud to the kids as a group. I want the kids to experience living books and enjoy them for what they are - wonderful stories! These are the main books we read together, or that we listened to as audiobooks. I try to choose books that are targeted at different age ranges or that are widely appealing. My kids range from 3-11, though the 3 year old rarely listens, and the 5 year old only enjoys certain books. Set in Bangladesh, this book is about a young girl who does traditional paintings with her mother, but must later find a way to help her father, despite her role as a female. Gender inequalities in other nations and cultural awareness make this an interesting book for boys and girls alike. This is one of those quirky, fun books that most children will enjoy. It gave us an excuse to watch the movie, too! 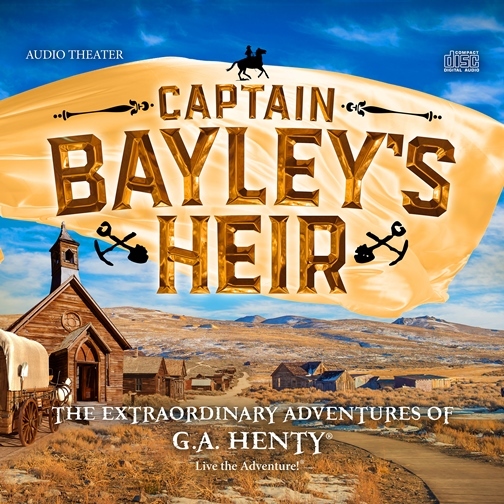 We borrowed this audio book through Overdrive or Hoopla. It's further adventures of Charlie and his family. The kids listened over lunch, because I couldn't handle another Dahl book. While they're entertaining for the kids, they can be a little too much for me. This was the first free read I chose after we switched to AO. I wanted to pull from the Y1 list for the boys, since they started at higher levels, so they wouldn't miss everything. Elliott seemed to follow it better during the reading, but Emory remembered it really well at the end of the year. It has the feel of fairy tales and fantasy, and is advanced writing compared to the other books on the Year 1 list, so it is good preparation or future years. I've tried to read this book aloud at least two other times over the years. I finally committed to finishing it, for the sake of AO. It's another Y1 free read. The kids loved it. I barely got through it. When our new puppy destroyed it, I was only upset for the sake of the book, not necessarily the title. It's just not my cup of tea. We read this as a complement to the picture study "St. George and the Dragon" by Peter Paul Rubens. It is a gorgeous picture book and all of the kids enjoyed it. I snagged the audio book of this for free years ago, so we listened to it mostly in the car, and sometimes at home over lunch. This is a Year 3.5 book (not an official year) so I didn't mind pulling it in. All the kids liked this book, and we watched the movie afterwards, because the kids had never actually seen it. 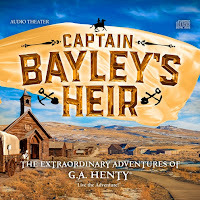 This was free on Audible Channels with Prime, so we listened at home over lunch. It's a Year 0 free read, but is great for all ages! I read it to the boys when they were Year 0, but they definitely appreciated some of the humor more than my current Year 0 kiddos. Such a fun book! The illustrations are a must! I started reading this aloud, but after awhile we switched to audio. The kids enjoyed it at first, but then found they liked Wizard of Oz better, so it took us awhile to get through and then we lost momentum. They didn't dislike it, but this wasn't a favorite. We are slowly listening to this one. Since it's summer and we're not in the car as much for weekly activities, it'll be awhile yet. My 5 year old is the one that requests "the horse story" the most! If you're interested in what the kids did for school books, check out our return to Ambleside Online.